Lazy is probably going to work its way into many of my post titles this month. Since I’ve spent the better part of the last 2 or so years working in a kitchen long hours, cooking when I get home has to be fast and easy. As I said in an earlier post, Trader Joe’s is great for lazy food. That includes lazy pizza. In the refrigerated section, by the cheese in our location, they’ve got vegan pizza dough balls. Just let it sit at room temperature for about 20 minutes, spread out on a pizza pan, throw on sauce and toppings, bake and eat. Feeling extra lazy? Why yes, yes I am. Then they also have vegan pizza sauce. 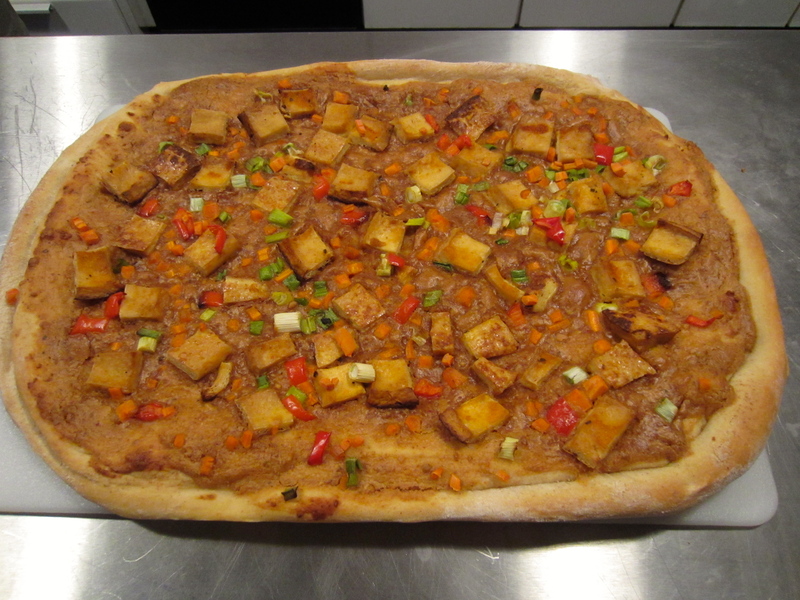 Your only challenge is to have some vegan cheese on hand. Which I did this time, some Daiya mozzarella. And I thought about grabbing some sliced pepperoni from work, but instead tried to be a little less lazy and made the TVP Pepperoni from Hearty Vegan Meals For Monster Appetites. This stuff is so easy to make that it’s lazy. Seasonings, TVP, boiling water, soak, it’s pepperoni! And it’s delicious! 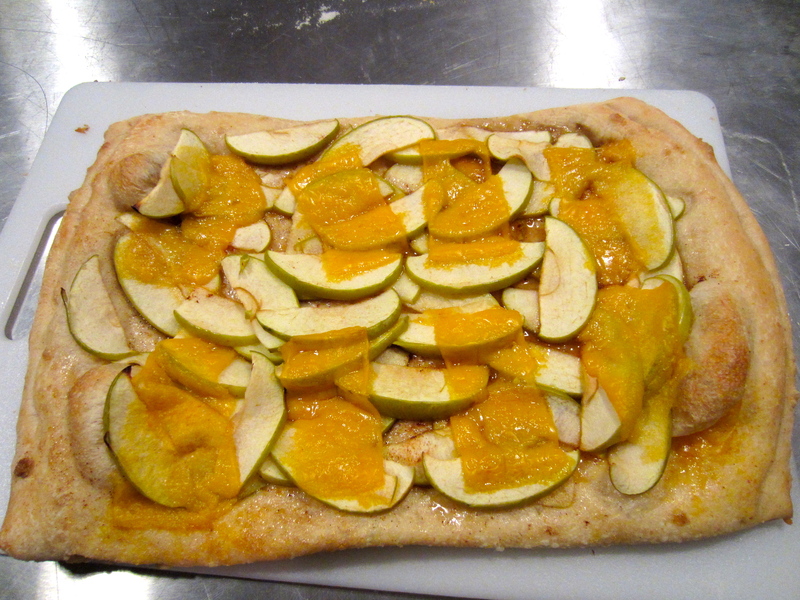 One recipe made enough to generously top two 16″ pizzas with a little extra left over. I’ll probably throw it in a pasta sauce. 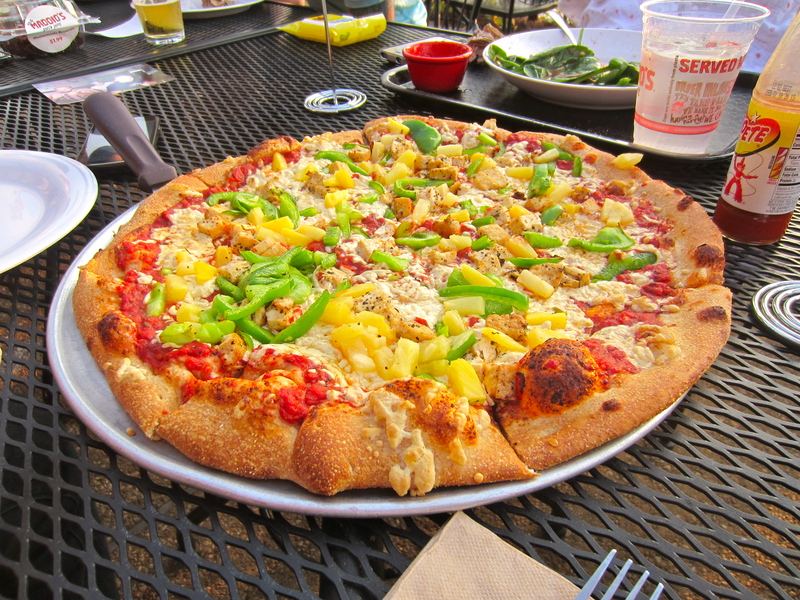 For Kevin’s birthday, we staged a (mostly) vegan invasion of Uncle Maddio’s Pizza Joint. 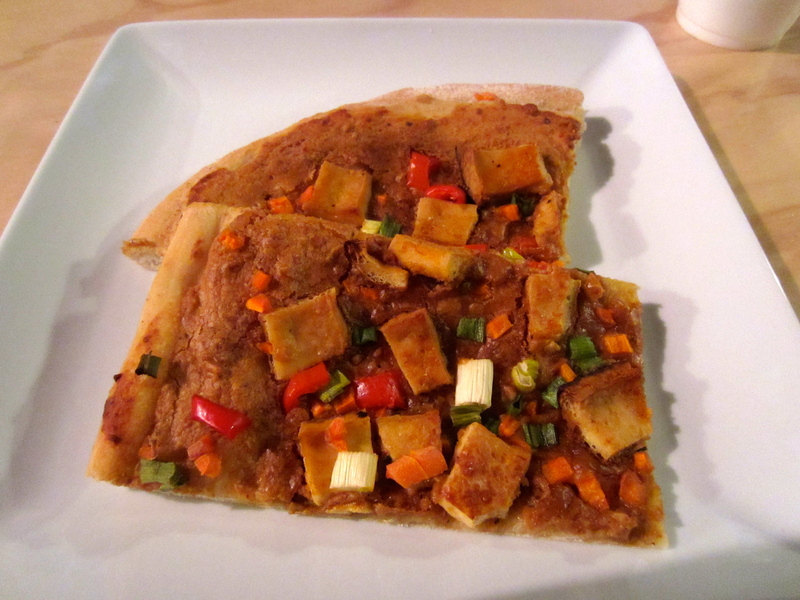 If you don’t know, Maddio’s carries Daiya, had tofu as a topping and the whole wheat crust is vegan. It’s also inexpensive. This pizza, a beer and a soda was around $22. 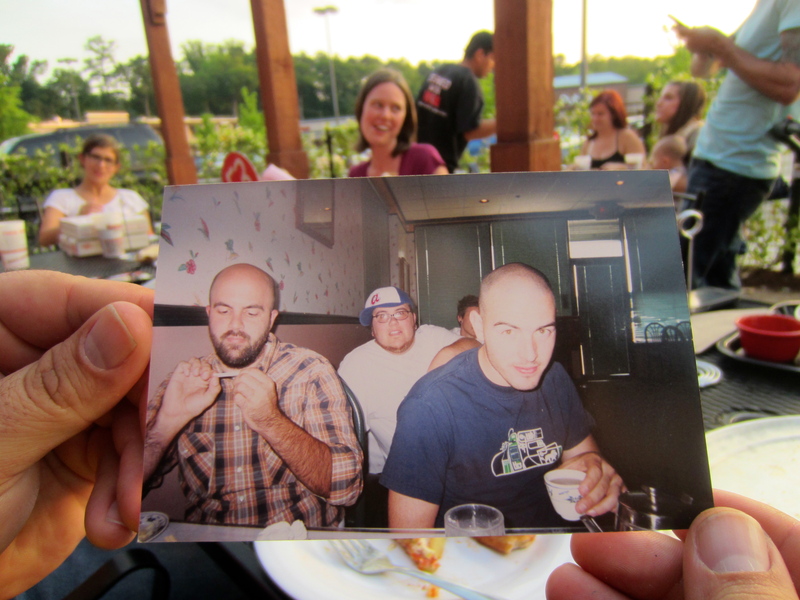 Alison brought this old pic of John & Kevin. WTH, who is that guy? After pizza, we headed to NOT secret bowling at Suburban Lanes. And we closed the place down getting our money’s worth for the all you can bowl for $5.99 special. 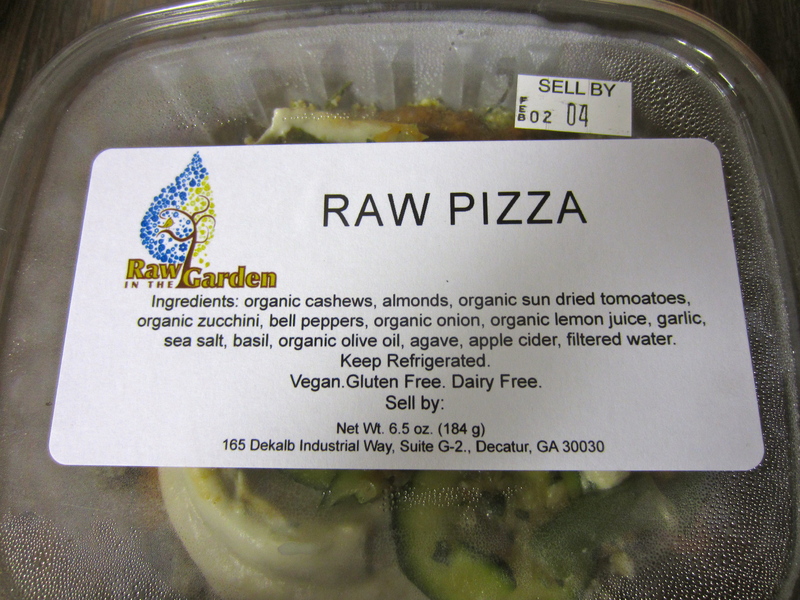 These pre-packaged raw items by Raw in the Garden have recently shown up in Sevananda‘s island cooler. So I picked one up to try for lunch. With a pre-packaged item, I was worried it would taste fresh, but it was fine. I think the zucchini might have been marinated which was nice, gave them more flavor. It didn’t have a crisp crust, but the flavors of everything were definitely pizza like. 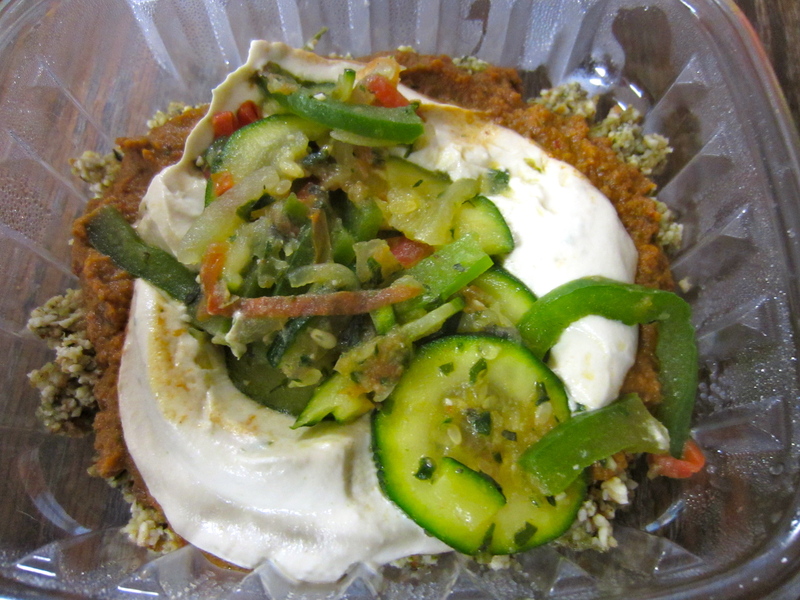 With the nut-based crust and cashew cream it was also pretty filling. 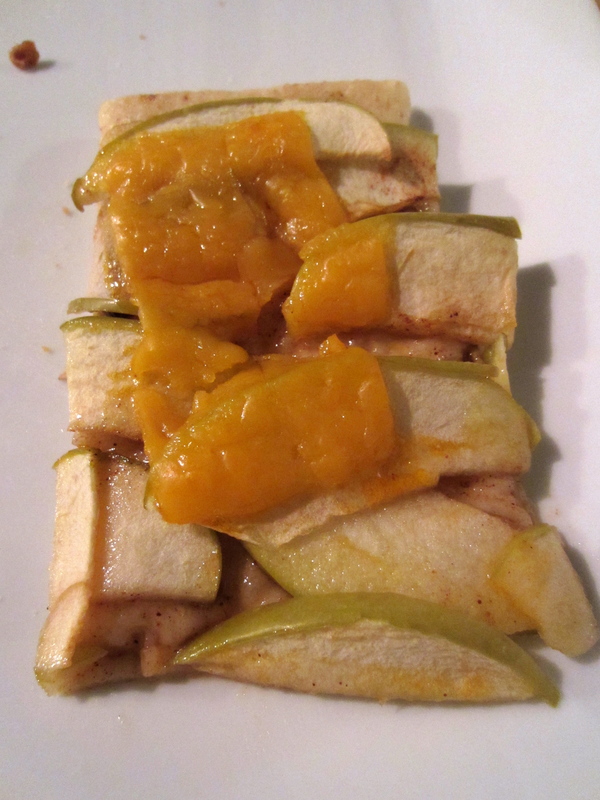 This could be pulled off without a dehydrator. I might try this at home.